Why not get the Jian dog harness for your honey doggy? They can help you train and protect your dog from injuries.You can custom pet leashes with your unique lanyard designs to make your pet friend the best dog leads with stylish look in the street. The adjustable buckles and hooks help to fit loosely around the neck so that it does not choke the dog. It's perfect to make your large sized canine friend feel safe and comfortable when you take him out for walks. ● Lanyard types: Nylon/ Imitation Nylon pet leash, Leather pet leash, and so on. ● Standard pet leash size: Long-6ft., Medium-5ft., Short-3.5ft. ● Color: Custom dye per pantone color. ● Logo: Silkscreen printed, CMYK printed, Dye sublimation/ Heat transfer, Woven. ● Lanyard accessories: Metal hook, adjustable plastic buckle, etc. 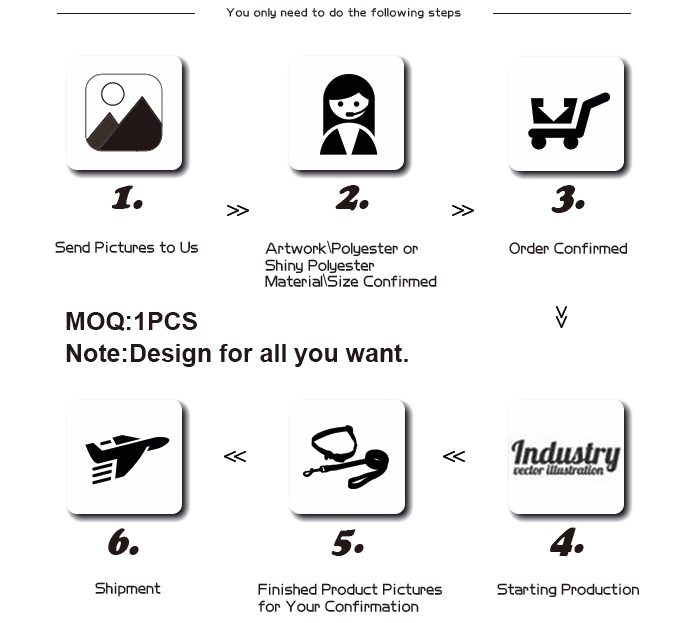 ● Packing: 10 pcs/ Poly bag, or according to customer’s request.